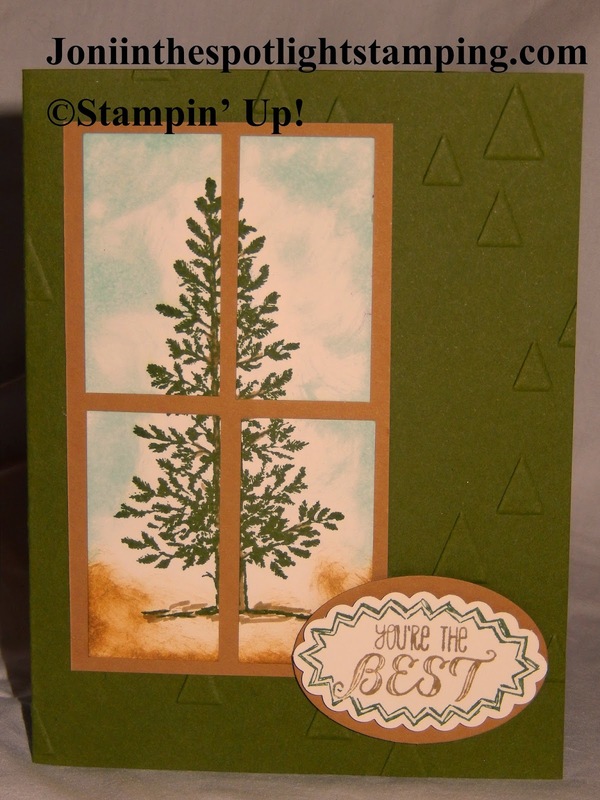 Joni in the Spotlight Stamping: CAN YOU CASE IT! So as you know I love to follow my favorite challenge blogs. One of the ones you've seen here is Can You Case It? This week's challenge over there is a sketch challenge. I saw this one & immediately this card popped into my mind! The only real colors are Mossy Meadow & Baked Brown Sugar. I did sponge a bit with Soft Sky to "ground the tree. It seemed kinda "out there" without the color. The Embossing Folder is Tiny Triangles. Cute little thing! So hope you enjoyed! Be sure to check out the CYCI blog & see what other great designers have come up with! Enjoy! Your card is so awesome! Thanks for joining us this week! Come back for more challenges! COLORING DOWN THE TALL SKINNY LINES!!! TAKING THE "PLUNGE" WITH TAGS!!!! TAKING THE PLUNGE WITH WATERCOLORING! PLUNGING-ROUND AND ROUND SHE GOES!!!!! 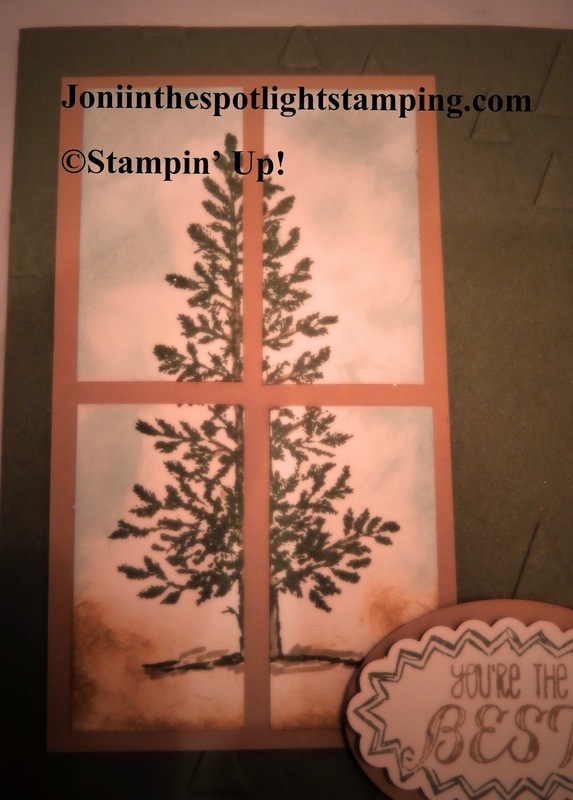 ICS BLOG HOP TRIPLE TIME! IT'S COLORING DOWN THE LINES TIME!! !